July is upon us already! If you haven't decided where to go for your summer holiday, it's not too late to choose Kefalonia! 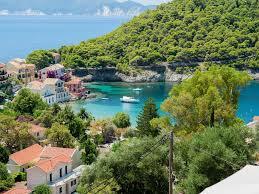 Being the largest and most popular destination of the Ionian islands there truly is something for everyone. The main reason why people choose Kefalonia for their holiday destination is because they are looking for a destination that is quiet and restful . 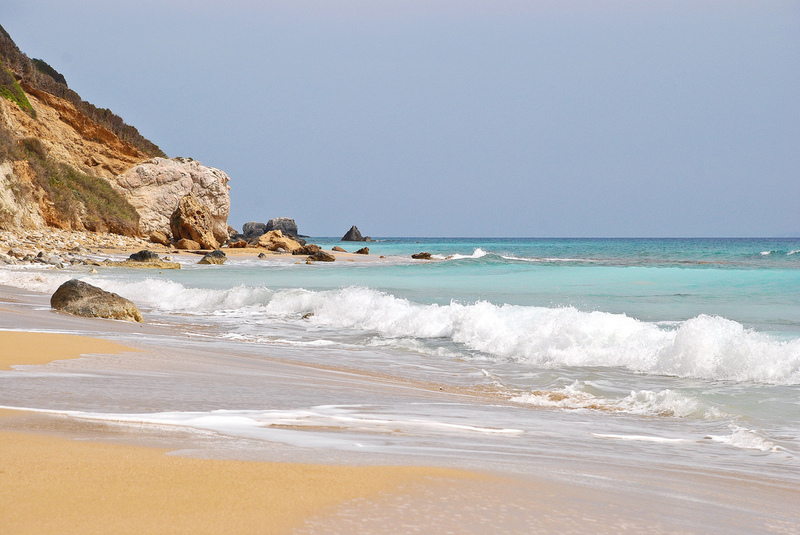 Being unspoilt and picturesque Kefalonia gives you just that. It offers stunning, dramatic scenery that words cannot describe, beautiful beaches and quaint secluded fishing villages. However, if you fancied something a little more adventurous then there is no shortage of things to do on the island. Watersports are available on many of the beaches and during peak season there is a festival practically every weekend, the most popular being the Robola Wine Festival. There are countless attractions, historical sites, restaurants and beaches...........too many to mention! Like me ....you'll have to revisit the island over and over again before you get anywhere near seeing all there is to see and do. After 5 consecutive years returning to the island, I feel I've only just scratched the surface. Below are just a few of my personal favourites to get you started as well as a few tips!! My first bit of advise would be.........GET A CAR! With so much to see and do, it would be a real shame to be stuck in one place and not explore all Kefalonia has to offer. Although there is a bus station in Argostoli, I'm not sure public transport really exists and getting cabs would cost a fortune. Most people want to hit the beach as soon as they arrive at their holiday destination so let's start there!! There are so many beautiful beaches in Kefalonia you will be spoilt for choice. Choosing where to go would depend on your personal preference of pebbly or sandy beaches. Kefalonia has both!! Below are a list of just a few........but there are sooooooo many more. I've focused mainly on the south of the island. Turtles are known to hatch their eggs on many of the sandy beaches. Local turtle protectors look after these areas, so if you see sticks sticking out of the sand do not pull them out to make your own shelter or hang your clothes on! Myrtos Beach - The famous 'postcard' photo!! However this is by no means the best beach. There are strong undercurrents which make swimming dangerous. For me personally it's also a very busy beach. 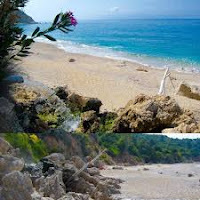 With so many quieter, safer beaches to choose from Myrtos Beach would not be my first choice. 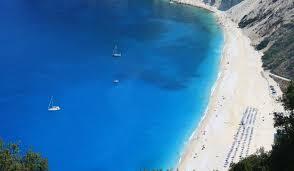 Lassi has some of the most beautiful beaches in Kefalonia. They are all sandy with clear, shallow waters. They are easy to reach and parking is not an issue. Some are smaller than others, but all offering sunbeds and umbrellas for a small fee. This area can get very busy due to Lassi being a tourist resort, so get there early to grab a good spot. There is a stretch of tavernas and restuarants to choose from when you fancy a bite to eat, as well as souvenir shops. This is one of my favourite beaches. This is a sandy beach, with shallow water. Perfect for the kids. If you stroll too far to the right you will find naturists! To the left you can use free umbrellas and mats. This beach is never over crowded, has good parking, showers to rinse your feet and a beach bar for drinks and snacks. This is another one of my favourite beaches but by no means the best beach. It is sandy and the water is shallow. The beach does not offer sunbeds and umbrellas so is one of the quieter beaches, but does have a taverna. However, depending on the weather it is not always the best beach to visit. I would avoid this beach on a windy day as the sand blows inwards. Also the landscape seems to change every year depending on what the winter has been like, sometimes bringing in piles of seaweed. On a calm hot day it is a lovely beach, however the road leading down to the beach is narrow and quickly fills up with parked cars........so get there early! A little further east from Trapezaki Beach lies Lourdas. You could actually walk to Lourdas beach from Trapezaki if you chose to. This beach is longer than Trapezaki but busier as it is easier to get to and has a row of tavernas where you can eat for lunch. Due to having the backdrop of Mount Ainos behind and the sand and crystal clear sea in front of you, the scenery at this location is just breathtaking. Continuing along the south coast heading east lies the Monastery of Sissia (old and new). The road leads down to Sissi beach but be warned, the road is treacherous. Your car may go down but will struggle to get back up unless you have a 4WD! You can walk down to the beach but be sure to wear sensible shoes and save yourself some water for your return up! Once you get to the beach it is very likely you will be the only one there! There may be one or two people there who will at this point also be apprehensive about the journey back up! There are no umbrellas, beds or tavernas so make sure you take everything you need with you. It is a pebbly beach and very beautiful but in my opinion unless you are a hiker who has specifically gone out for the day to challenge themselves, there are many beaches just as beautiful that are much easier to get to. A beautiful coastal town, Sami is the second largest port of Kefalonia after Argostoli with daily trips to Patra, Ithaca and Italy. It is here where the set for the film Captain Corelli's Mandolin was filmed! The main coastal road consists of restaurants, shops and lovely cafes overlooking the busy port. Sami is surrounded by a dream landscape of hills and stunning coves. Tourists and celebrities arrive here with their private yachts to enjoy a unique diving and swimming experience of Kefalonia. Sami and Anti Sami are pebbled beaches and are a must! 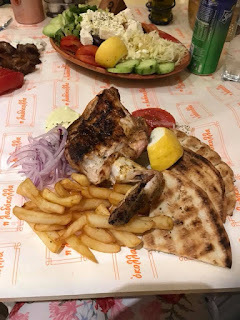 Ladokolla (Paper Plates) - just off Argostoli Square.......you literally eat your food off grease proof paper that is thrown down on the table seconds before the food is thrown on the table! Fantastic, friendly atmosphere and great reasonably priced food. To Enetiko - Avithos Beach. 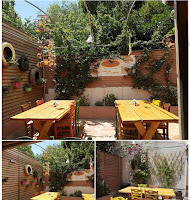 There are two restaurants just by Avithos beach, both are lovely so you can't go wrong. However my favourite is Enetiko which is the lower restaurant. The food and service is amazing. 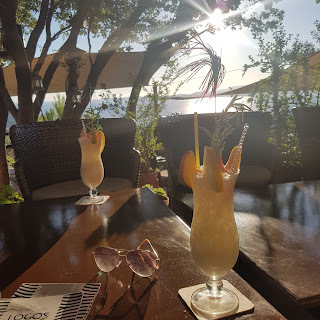 If you are a couple, why not book one of their romantic tables for two which are set out of the restaurant, amongst the banana trees on the hill, overlooking the sea where you can sit, eat, drink, watch the birds settle in the trees for the night..... and see the moon rise. The atmosphere brought me to tears......but I am an old romantic! 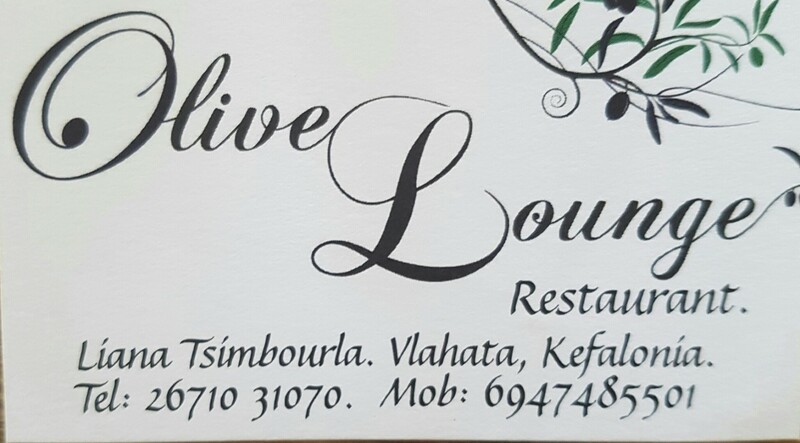 Olive Lounge - Vlahata - The Greek Australian owner works hard to ensure your meal is perfect. She will spend time helping you choose your dish and is so confident you will love it that she promises you don't have to pay if you don't! This is a popular and busy restaurant so booking is recommended. Andromeda Centre - Vlahata - They offer Greek and Continental Cuisine. On Saturdays they have 'eat as much as you like' buffet with live Greek Music & Traditional dancing with audience participation! Be sure to book in advance. Grill House - Peratata (next to the petrol station) - Simply simple! Great food which is reasonably priced. You'll leave with a full stomach and money in your pocket! Two people can eat with wine or beers for as little as 20 euros! 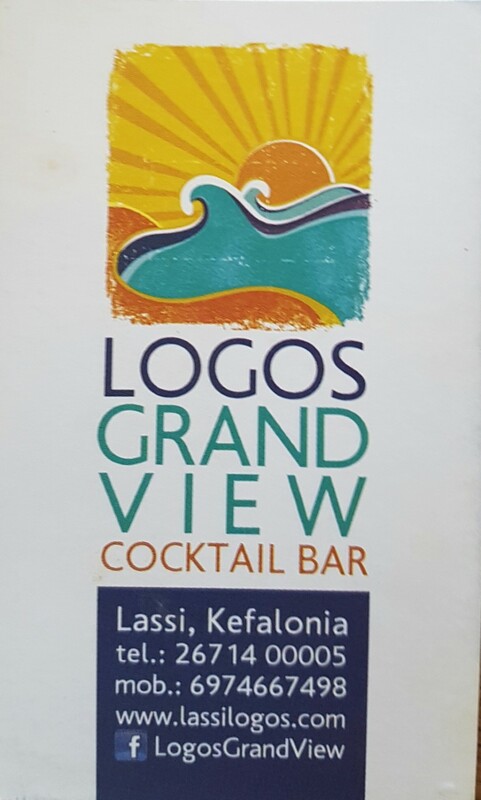 Logos Grand View - Lassi. Set on a hill this restaurant/cocktail bar offers amazing views of the sunset. The food is great but you can go just for the view and cocktails. Get there early though.......seats on the edge go quickly!! Premier - Argostoli Sqaure. Fancy something different? If you've had Greek food several nights on the trot and are fancying something different then the Premier do great Italian dishes. If you're not that hungry you could go just for a dessert or try there amazing home made ice-cream. On the weekends there is live music sung by the older generation - 1930's Greek/Italian music. You will feel as though you have gone back in time. The atmosphere is amazing. Cavo Lagos (AKA Smiley George as I've never seen a smile so big!) - Spartia - Standing outside looking at the restaurant you could mistake it for someones house! The restaurant is small with tables out on the terrace and a couple inside. Due to it's size but great reputation you will need to book a table if you are planning to eat here. George has the kindest face and will smile throughout his explanation of special dishes of the day! The service is a little slow however the food is freshly made and worth the wait. Just sit back and enjoy the Greek pace of life! 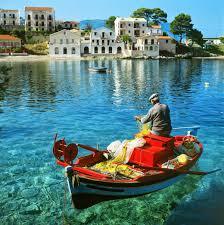 There is soooooooooooooo much to see and do in Kefalonia if you want to. There is no excuse to be bored. 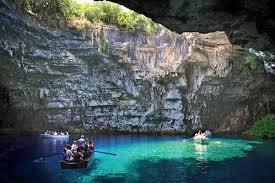 Melissani Lake - Located 2km from Sami - Why not tour the lake on a rowing boat and explore the cave. The cave is open to visitors every day. Drogarati Cave - Located 3km from Sami - Very close to Melissani Lake the cave descends 95 metres! There are many steps going down which isn't too bad.......but remember you have to go back up!! Inside you will see stalactites and stalagmites which have grown over thousands of years. The only cave in Greece with a chamber as large as Drogarati, this cave is used as the venue for concerts by M. Farantouri and the soprano Irene Karayianni. Mount Ainos - The only National Park situated on a Greek Island - The park stretches over 3,000 hectares and its highest peak reaches 1,628 m. The park is two thirds covered by a species of fir called Abies Cephalonica which grows at altitudes of 600-1,600 metres. There are several hiking trails to explore and as the temperature up there is much lower you won't feel too hot to complete them! But it won't be just fir trees you'll see while you're up there, there are many varieties of wild plants and wildlife to be discovered. Semi wild horses live in the forest...........be sure to look out for them! 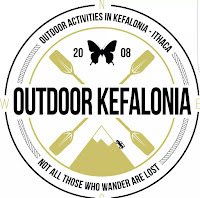 Outdoor Activities - Outdoor Kefalonia offers hiking, jeep safaris, sea kayaking. canoeing, caving, donkey trekking and much more. Giorgio (AKA Crazy George as he has no sense of fear/danger and will try literally anything!) 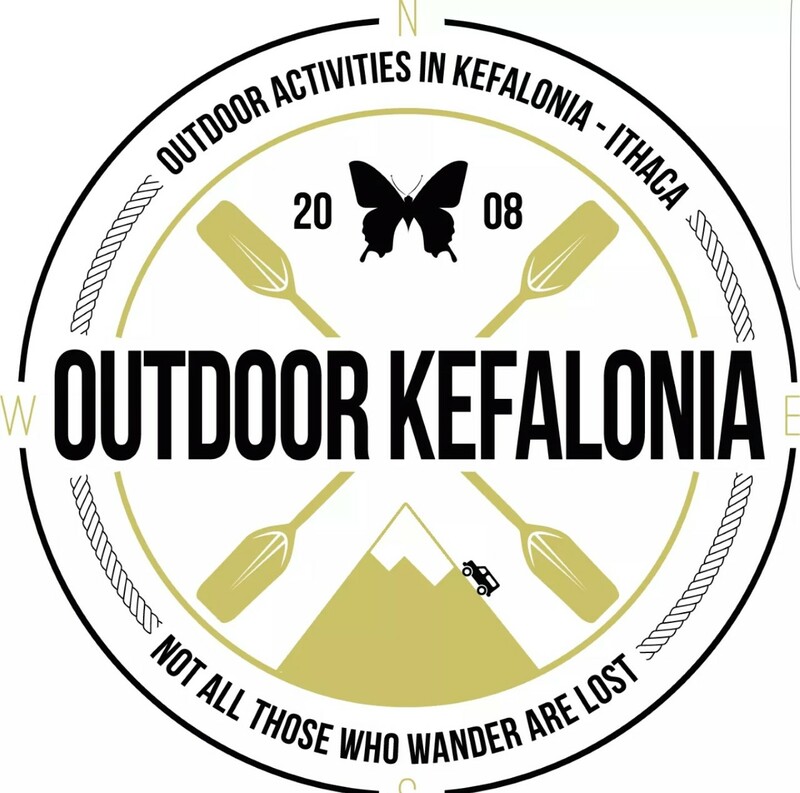 has a vast knowledge of the island and will take you to places other Kefalonians didn't know existed! With excellent reviews on Tripadvisor, an outing with them while you are on the island is a must. Castle of Saint George - Located south east of Argostoli, above the village of Peratata. Built in Venetian times the castle is now a ruin having suffered time, wars and the earthquake of 1953. You will also see the ruins of the Catholic Church of Saint Nicholas. As you drive up towards the castle you will see small houses scattered and hidden amongst the prickly pear cactus and once you reach the top you will find several small shops and restaurants. 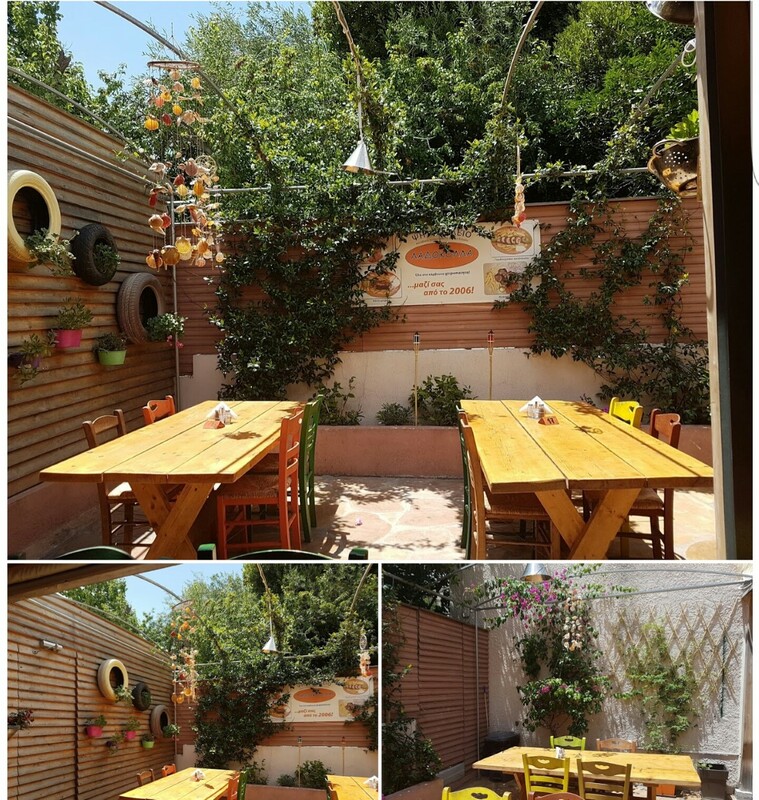 Be sure to stop for a drink and a snack at the Kastro Cafe which is hidden behind a small wall. As you walk up the steps you will enter a magical world. Small and quaint this beautiful little cafe is the perfect place to stop for a rest. 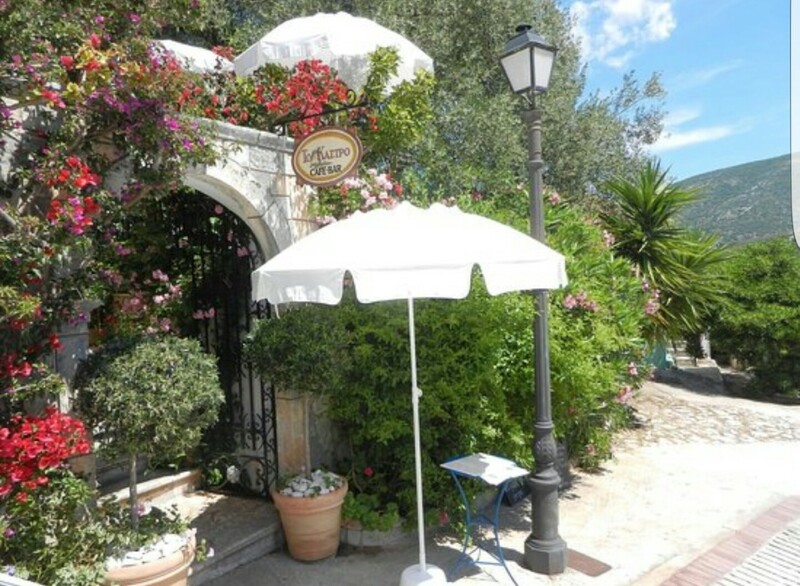 The owners were extras when the film Captain Corelli's Mandolin was being filmed on the island and they are very proud to display a photo they have with Nicolas Cage as well as props from the film!! St Gerasimo - Kefalonians believe Saint Gerasimos protects them and heals them of illness. The body of Saint Gerasimos is at the monastery, which never decomposed! After his death, his body was buried twice and exhumed intact, thus leading the church to ordain him as a saint. Kefalonians throughout the world still revere and pray to him. In 1953, immediately after a powerful earthquake on the island of Kefalonia destroyed 90% of the island, there were many claimed sightings of Saint Gerasimos throughout the island who is believed to have comforted and tended to the injured trapped inside homes and buildings. During the feasts of Saint Gerasimos (16th August), his body is passed over ill and sick for the purpose of healing them. His body is also displayed by the church during liturgy at the monastery on many occasions. 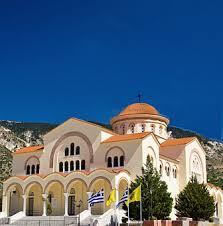 The monastery of Gerasimos is worth the visit. Close to Robola Wine Factory, there is ample parking. There is also a nearby convent and chapel which you should visit while you are there. Ensure you dress appropriately (covered shoulders and skirts below the knee). Assos - This is one of my favourite places. This very quiet quaint little village has so much to offer; restaurants by the quayside, pebbled beaches, a few shops, traditional architecture, peaceful landscape and of course the ruins of a 16th century Venetian castle. The visit to the castle is a long walk along the olive tree forest until you reach an archway. Fiscardo - North - Better known than Assos however although beautiful it can get very busy when the cruise ships come in. Thousands of people disembark crowding the shops and restaurants for several hours. If you happen to be there during this time you will struggle to find somewhere that has availability. The best place for shopping in Kefalonia is the capital Argostoli. From Valianou Square down and along Lithostrotou Street is the main shopping district for the whole island. 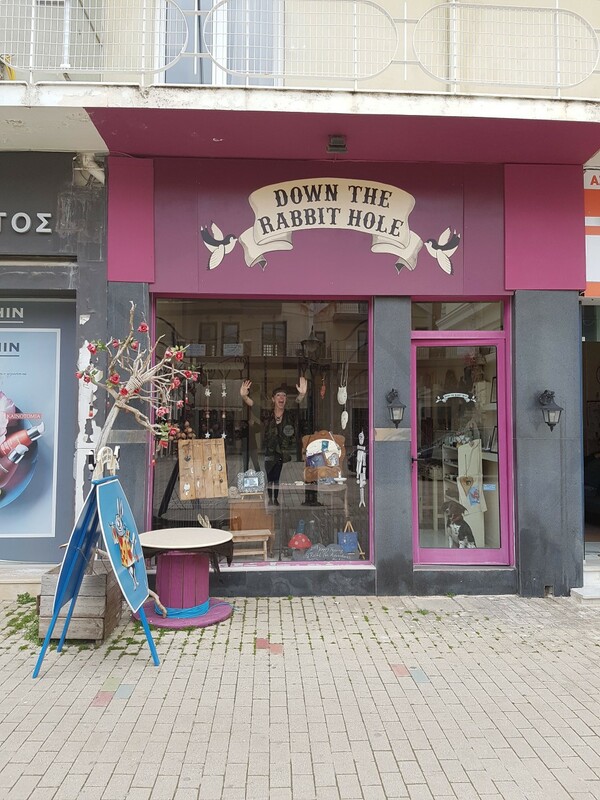 My favourite shop is Down the Rabbit Hole owned by a lovely lady (Karen) who is a Yorkshire Lass but now a permanent feature in Argostoli! Many of the items have been handmade by her good self and she has an Alice in Wonderland theme going on! Always friendly and helpful (and a little bit Mad Hatter!! ), she will help you choose the perfect gift for someone back home...............or for yourself!!! The resort of Lassi is the next biggest shopping area. Fiscardo only has a handful of shops however they are beautiful and worth the visit. 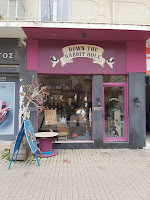 There are a number of craft shops scattered around the island in villages and are worth the effort of visiting them if you are looking for something unique. The real highlights to look out for are local craft jewellery, olive oil, thyme honey and local wines, specifically Robola Wine. AND OF COURSE ........AN ISLAND CRUISE IS A MUST!!!! Kefalonia Cruise offer various cruises around the island and will take you to beaches that can only be accessed by boat.